On 17th October 2011, AP partner Konrad Buhagiar presented a lecture titled, “Valletta, Heritage, Climate, Identity: from Renaissance to Renzo Piano” at the Sint Lucas Architecture Institute of Ghent in Belgium. The lecture was attended by architecture students, professors, and members of the Maltese community. This lecture explored a theoretical framework through which modern interventions can take old buildings into a new life, with all its different technical and social requirements. 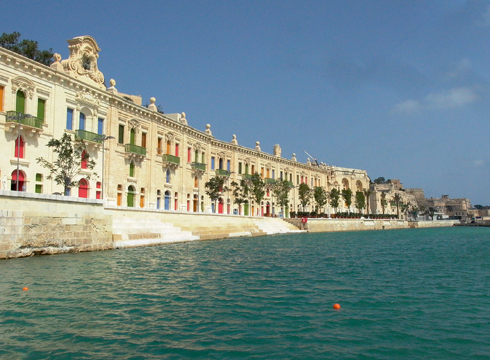 To illustrate this phenomenon, the changing image of Valletta was discussed. The architectural history of Valletta was traced and used as a backdrop to some recent ‘acts of modernization’, including the current project for the regeneration of the entrance to the town. As Françoise Choay described them, these are not “about giving a new appearance but about inserting a regenerating implant into the body of old buildings”.